By Intouch Construction & Infrastructure Pvt. Ltd.
How Far is ICIPL Amora? 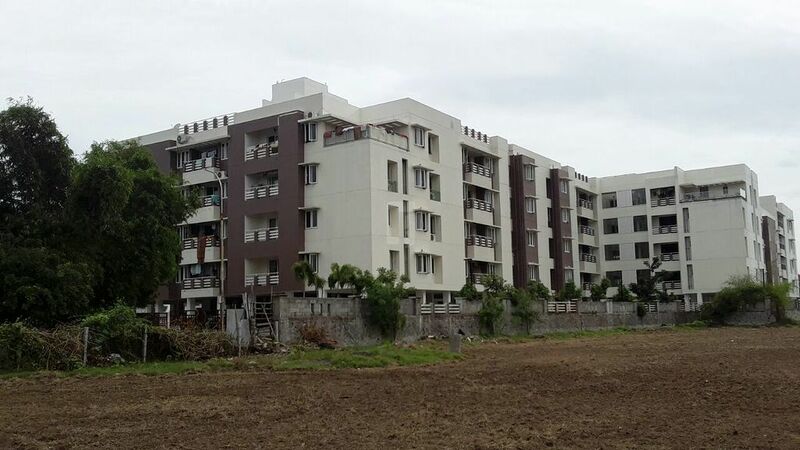 ICIPL AMORA is a project spread over 1.5 acres of land @ Manapakkam in Chennai. We have a host of 114 Stylish Apartments and these are distinguished into 2 BHK and 3 bhk Apartments. The Apartment sizes are 964 sft to 1092 sft for 2 BHK and 1282sft to 1398 sft for 3 BHK. With state of art amenities like - Swimming pool, Skating ring, Children's play area, Senior citizens corner, Air conditioned Gym, In door games etc. AMORA also has an advantage with direct access to the main road and in very close proximity to Leading Education Institutes, SEZs, Leading Corporate institutes, Residential Townships, Trade centers, shopping centers with good road and Railway Connectivity. a) The flooring in the living, dining, bedrooms, and kitchen will be of vitrified tiles flooring. b) The flooring in the toilets, balconies & wash area will be of first quality antiskid ceramic tiles. Note: Size, colour and brand will be of our choice depending on bulk availability. a) Kitchens will have first quality ceramic wall tiles for 2 feet above the platform. b) Toilets will have first quality ceramic wall tiles for full height from floor level. c) Service areas will have ceramic tile for 4 feet height. a) Kitchen platform will be provided with black granite top. b) Kitchens will have stainless steel sink. a) Main door frame will be made of teak wood frame and paneled skin shutters with melamine finish. b) Bedroom doors will be made of teak wood frame and paneled skin shutters with enamel paint. c) Toilet doors will be made of teak wood frame with flush shutter. One side of the door will have PVC lamination for suitable height and the other side enamel painted. d) French doors will be made of UPVC or equivalent frame and shutters with glass of suitable size. e) Windows will be of openable / sliding type with UPVC. a) Living, dining and bedroom walls will be coated with putty and finished with emulsion paint. b) Ceilings will be coated with putty and finished with OBD. c) Other internal and external walls will be finished with emulsion paint. d) Main door will be of Melamine finish and all other doors will be enamel painted. e) Windows and Ventilator grills will be finished with enamel paint. Note: The color of the paint wherever not mentioned will be as per our choice. Alterations in the elevation, fixing of grills and shifting of A/C points will not be entertained under any circumstances. a) Modular switches of ANCHOR ROMA (or) equivalent will be provided. b) Split A/C provision will be provided in the master bedroom only in a 2BHK and master bedroom / 2nd bedroom in a 3BHK. c) 15A plug points will be provided for Fridge, Washing machine and for geyser in toilets. d) The wiring for 5A points will be of 1.0 sq.mm rating adequate for equipment of capacity of 500W and 15A points will be of 2.5sq.mm rating adequate for equipments of capacity of 1500W. AC wiring will be of 4 sq.mm which can take up a capacity of 1.5 tones. a) TV point will be provided in the Living, and Master bedroom. b) Telephone point will be provided in the Living. a) All toilets will be provided with European Water Closet. b) Jaguar / Cera/ equivalent CP fittings will be provided in the toilets. c) Cera / Hindware / equivalent sanitary fittings will be provided in the toilets. About Intouch Construction & Infrastructure Pvt. Ltd.
"Started in the year 2009, with the sole objective of bringing Dreams to life, in synchronism with our ethical policy of ""Value First Everything else next"". The foundation of ICIPL is laid with a set of principles which we religiously follow at all times. We believe that our value system is the key to our success."